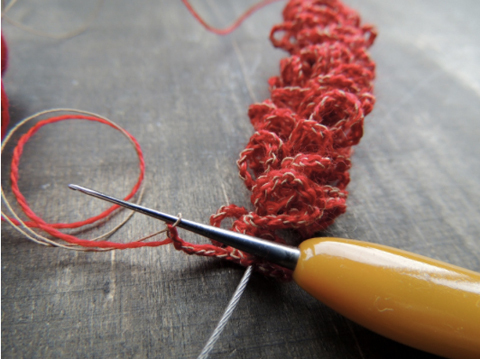 Sandra, who is behind the fine blog and Etsy shop zsazsazsu put all her heart and skills into handmade crochet jewelry. As she puts it herself it all started when she saw a woman wearing a beautiful necklace some years back, inquired about the piece and soon found herself immersed in colors and structures – and in her own workshop. 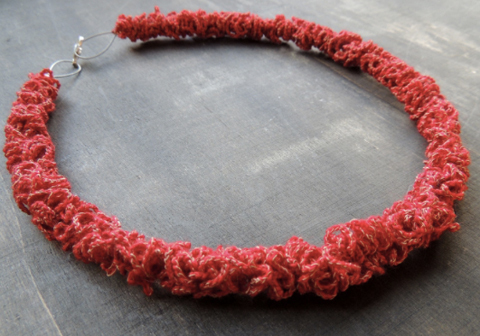 In all of Sandra’s jewelry pieces her love for colors is reflected and her amazing crochet skills can be seen. 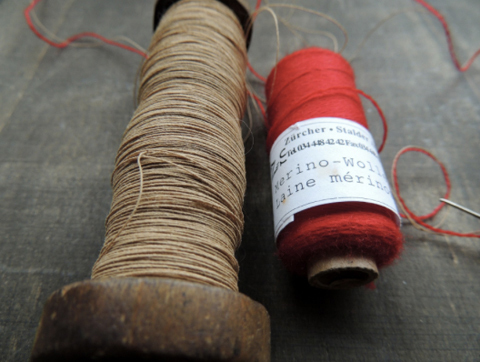 But it’s also obvious that she loves to work with more unusual materials like our paper yarns and seemingly effortlessly incorporates unusual finds like coins and stones into her work. 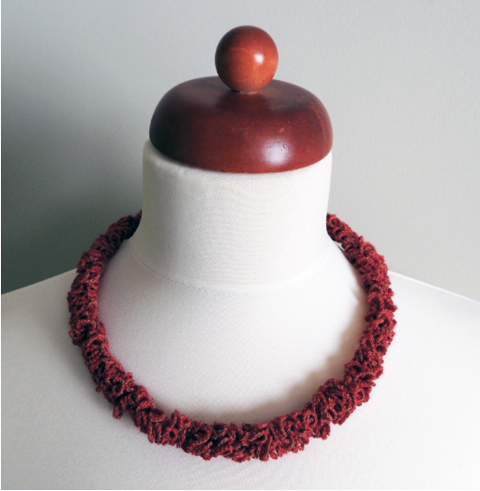 For this beautiful red necklace Sandra combined fine, soft red merino yarn with our slightly stiffer finest paper yarn in natural to give the piece more texture. 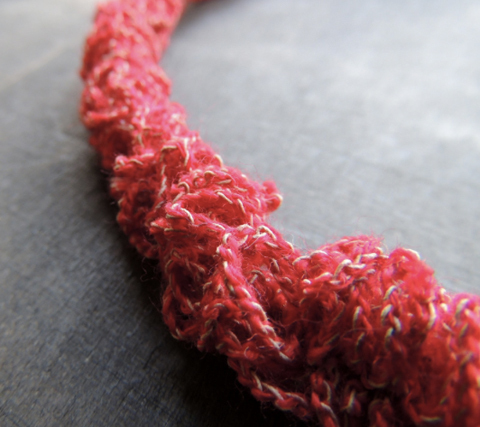 The necklace was crocheted in loops with a crochet hook (thread hook / EU 0.75 / US 13 / UK 5 or 6) over a fine steel cable – and with lots of patience! Btw, this necklace can be bought here – it’s one-of-a-kind so if it’s sold it’s sold.